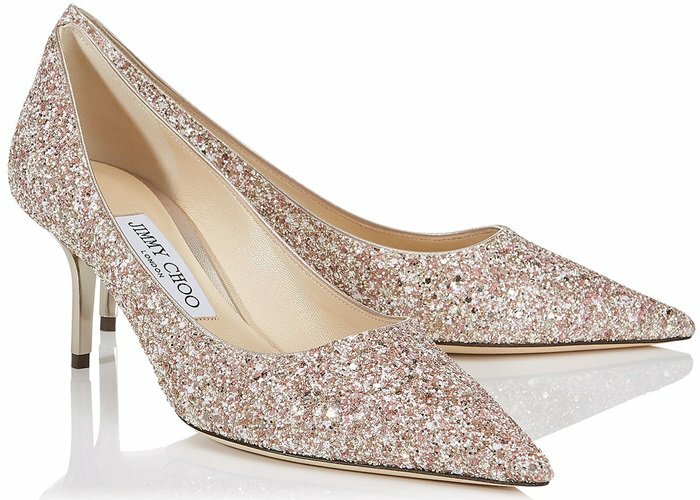 It’s easy to fall in love with Jimmy Choo‘s new pointy toe Love pump featuring a high cut design and leg-lengthening shape. 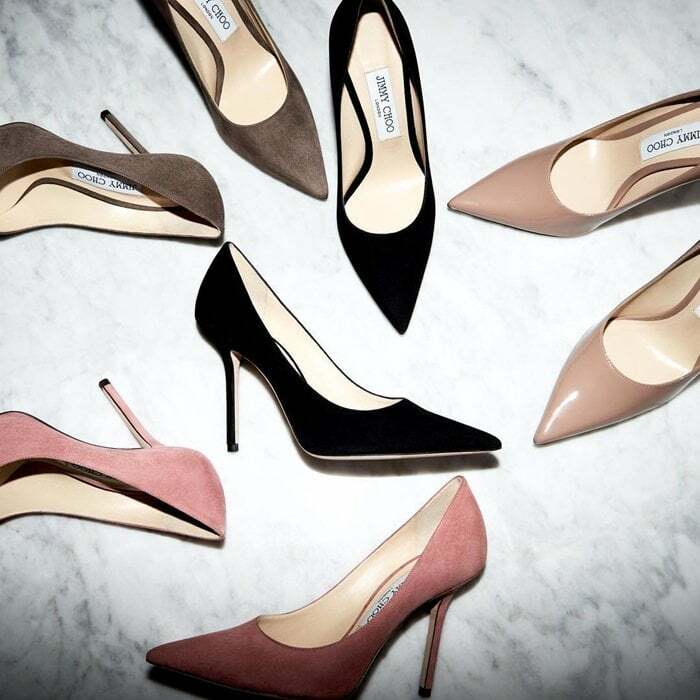 Featuring a dramatic pointy toe, it is cut higher on the foot, allowing for more coverage. The pin-thin heel instantly elongates the legs. 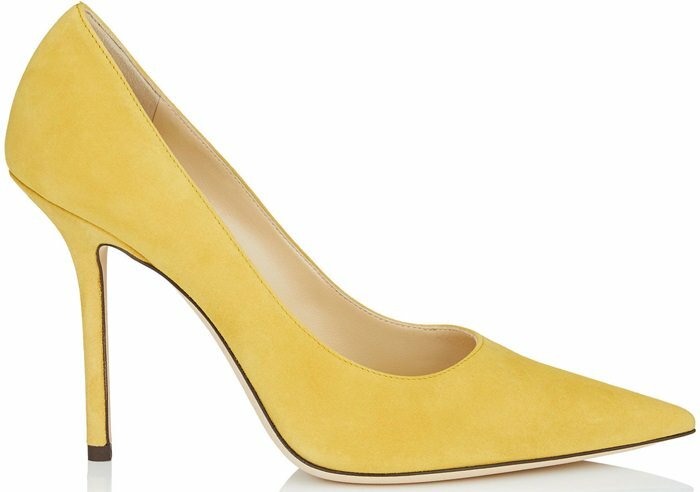 It is available in a wide range of colors and fabrics at Farfetch, Jimmy Choo, Mytheresa, Nordstrom, and Saks Fifth Avenue. The following are just some of our favorites. Which of these shoes would you like to wear to your next Christmas party? 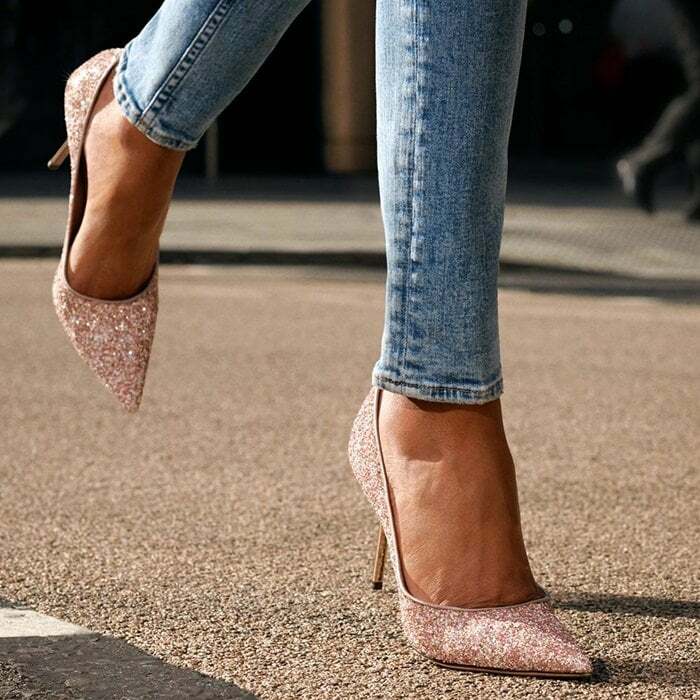 Jimmy Choo’s latest design, the Love pump, will not only slot seamlessly into your timeless shoe edit but will also give a modern edge thanks to the razor-sharp pointed toe. 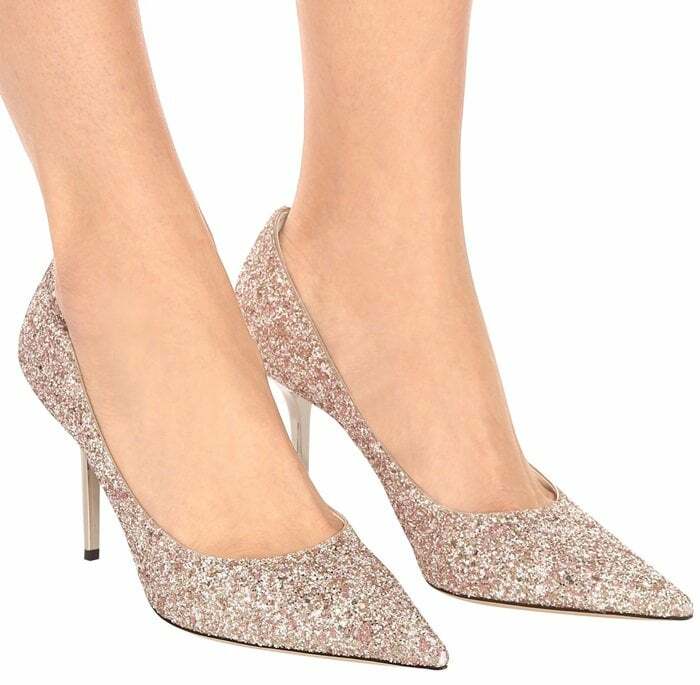 Crafted with a pink and gold glittered upper and with a beige leather lining, this sparkling made-in-Italy design sits high on a 100mm stiletto heel, elongating and flattering your figure. 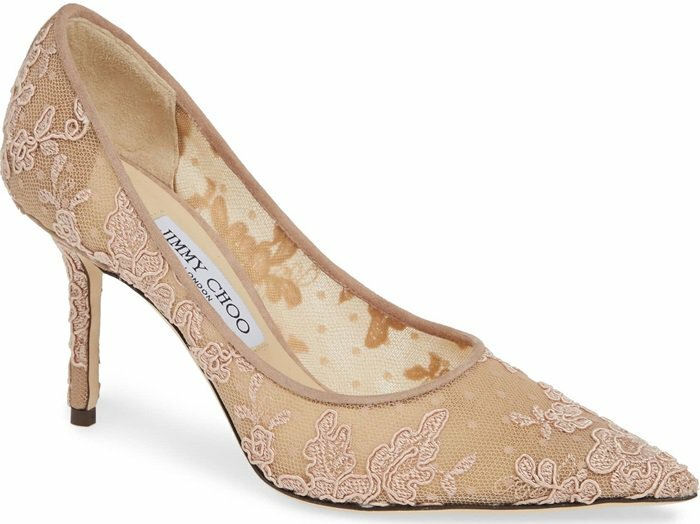 Crafted in Italy, the pointed-toe design is presented in black floral lace against a dotted Swiss tulle background, with a leather sole and lining providing comfort. 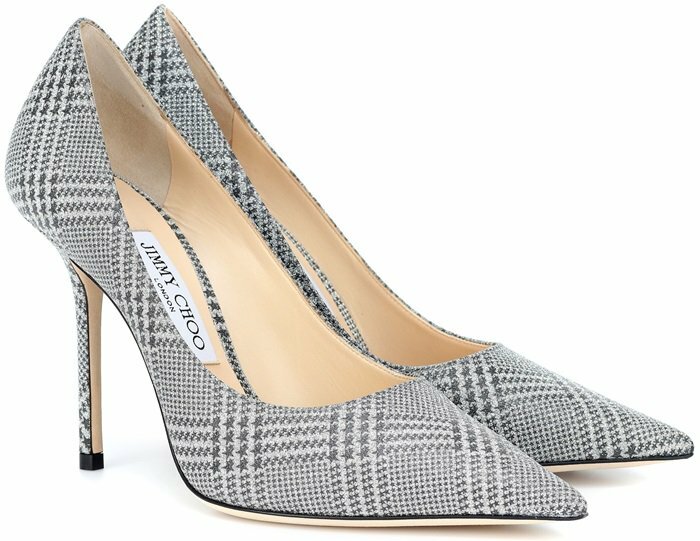 A sharply pointed toe balances the slimmed-down stiletto of an Italian-crafted pump fashioned in shimmering, star-patterned plaid. Love in ballet pink floral lace is the definition of elegance with a touch of edge. 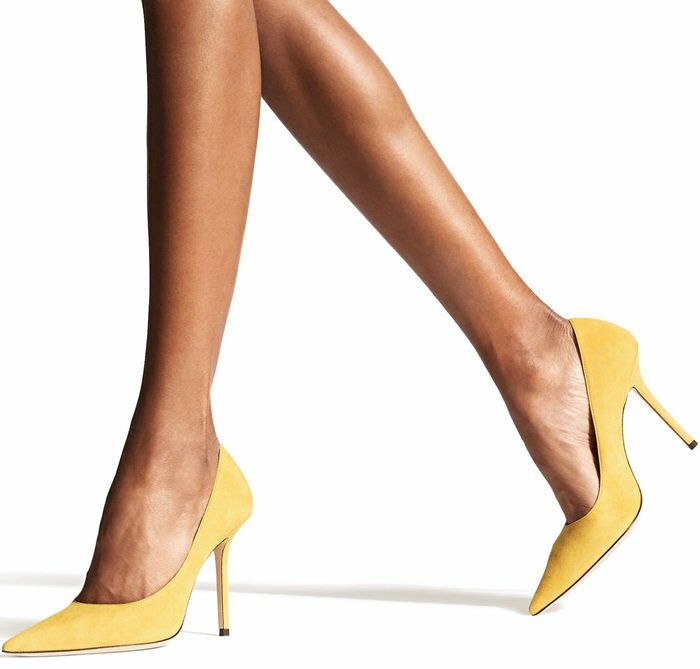 The classic point-toe pump is outfitted in saffron suede.